After escaping from Egypt, the Israelites had been living in the desert nearly 40 years, during which they had been receiving God's instructions and sometimes rebelled against him, as described in Exodus, Leviticus, and the chapters we have read to date in the book of Numbers. During this period of time the Israelites had dreamed of the day when they would reach the land of Milk and Honey promised by God. Today's set of chapters begins the final section of Numbers, which describes the second approach to the Promised Land. We will be studying this section for five days. Today we review chapters 22-24, which tell the story of Balaam the sorcerer - a man who refused to curse Israel even when bribed with great riches. Balaam answered Balak's servants: "Even if Balak gave me his house stuffed with silver and gold, I wouldn't be able to defy the orders of my God to do anything, whether big or little. But come along and stay with me tonight as the others did; I'll see what God will say to me this time." The night after the second visit, God told Balaam to go accept the invitation to see Balak, but to only do what God told him to do. Chapter 23-24 records that Balaam followed God’s command diligently, even when pressured by Balak. The king and the sorcerer ascended to several high places to observe the Israelites and offer sacrifices, but each time Balaam blessed the people instead of cursing them. Then, Balaam prophesied about the future victories of Israel over Balak’s land and the neighboring countries such as, Sheth, Edom, Seir, and others. God can work through imperfect people like Balaam and can work through imperfect people like us. Balaam's vocation of divination and sorcery was forbidden by God, as we read in Leviticus 19:26. The reason it was forbidden was because the practitioners of these skills believed in receiving messages from false gods or evil forces. It is wrong to believe in using false gods or to lead others to believe in it, but it’s not wrong for God to use those who practice these deceptions. Therefore, he made use of Balaam to protect his people. However, before he lost his way, Balaam was a good example of standing pat in his faith, even when pressured by power and wealth. His quote from the heights of faithfulness is a good one for us to remember: " 'Even if Balak gave me all the silver and gold in his palace, I could not do anything great or small to go beyond the command of the LORD my God' (Numbers 22:18 - NIV)." There will be times when we are tempted to go beyond the command of our God in order to gain wealth or pleasure, but we need to be resolute, as Balaam was and have faith that there is an ultimate reward greater than any of the riches of Balak or any other king. 1. If God is all-knowing, why did he ask Balaam "Who are these men? (Num 22:9)"
2. Did a donkey really talk to Balaam? The first one might be the easier question. God is all knowing, but perhaps he worded the question in this manner to see if Balaam would tell him the whole truth. The art of acting uninformed is a common investigative technique - for example, you might see this method employed by police detectives on TV shows, such as the classic Columbo series, or more current series from Hollywood and the BBC. 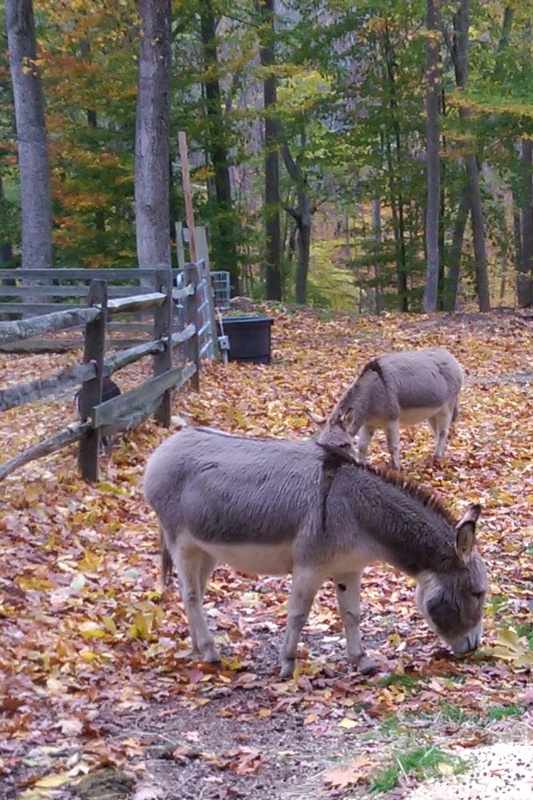 As for the donkey: Did God really make this animal talk? It certainly appeared that way to Balaam. Maybe God filled in the voice and thoughts so it seemed to Balaam that the donkey talked, or maybe God did enable the donkey to express himself in a human way. It’s an unusual miracle, but not beyond the long arm of God. If you believe he created the world and raised his son from the dead, then why not believe the much simpler task of giving speech to a donkey? One of our weaknesses as humans is that we often try to put limits on what we believe God can do. We know that we have human limitations, so sometimes we forget that although we are made in God’s image, we are not exactly like him. He is limitless. What else can we learn from Balaam’s experience with the donkey? We should be patient with people who cause us to take detours – they may actually be protecting us from things we don’t see, as was the case of Balaam and his trustworthy beast of burden. What experiences have you had riding on animals? When was the last time you were frustrated with a detour but later found a silver lining? How do we summon up the strength to resist money and power in order to obey God? Father, please help us to learn how to keep our hearts and minds focused on your word and resist the world's lure of money and power.